Facebook have recently rolled out shared photo albums, offering the opportunity for you to share specific photos with select friends and family members. We have received an email from a burnTech.TV reader asking how you actually make these shared albums, so below is a quick step by step guide. Shared albums allow up to 50 collaborators to share their pictures into one album. Rolled out on Monday by Facebook, it’s a really nice feature for any shared experiences. From weddings to holidays, there are numerous occasions when it would be nice to group together photos into one large album, and it’s surprising in many ways that it has taken Facebook this long to address this issue. As with most things Facebook, its a rather painless process to create one of these albums. Step 2: Whilst on the photo page, you will see a stream consisting of all of your photographs. On this page, click “create album”, which is a tab placed on the top right hand side of the page. 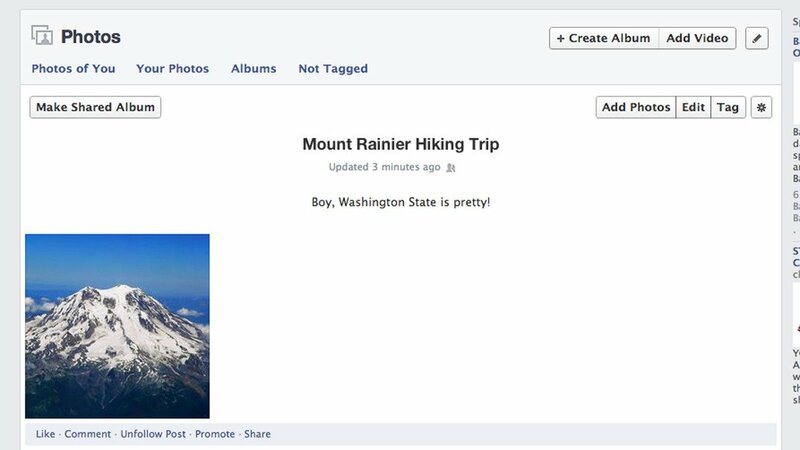 Step 3: Before you see the option to contribute to a shared album, you need to post the relevant pictures on to Facebook. To do this, select the photos on your computer that you would like to post and begin the upload process. Facebook will ask you for details about the pictures – it is up to you as to how much or how little detail that you provide here. Once ready to go, hit the “post pictures” button which is in the lower right hand segment of the page. Step 4: Now that the pictures are housed on Facebook, you will have the option to add them into a shared album. Presuming you’re the first user to contribute, you will need to turn the album that you just uploaded into a shared album. You can do this by clicking on the button on the top left hand side of the page, which will prompt you to invite people who you would like to contribute to the album. NB: At this stage, it is worth making sure you get the privacy settings right. These can be accessed from this page. Your shared album will have three privacy setting options; public, friends of contributors and contributors only. These settings relate to who can view the pictures in the album. It’s worth noting that inviting up to 50 users will exponentially increase the amount of exposure that your pictures get if you select ‘friends of contributors’. Each Facebook user has an average of 130 friends, meaning that 50 users would add 6,500 new people who can view your photo album. So if there are any sort of sensitive pictures in there, it may be worth bolting down the privacy hatches. 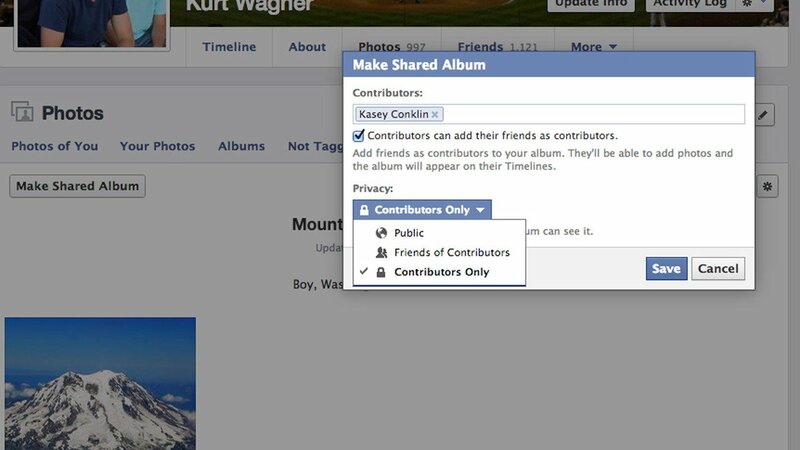 The other privacy setting of note is whether you will allow your albums contributors to invite their friends to contribute. At this point, the album is at the point of ‘going viral’, so again, think this one through. 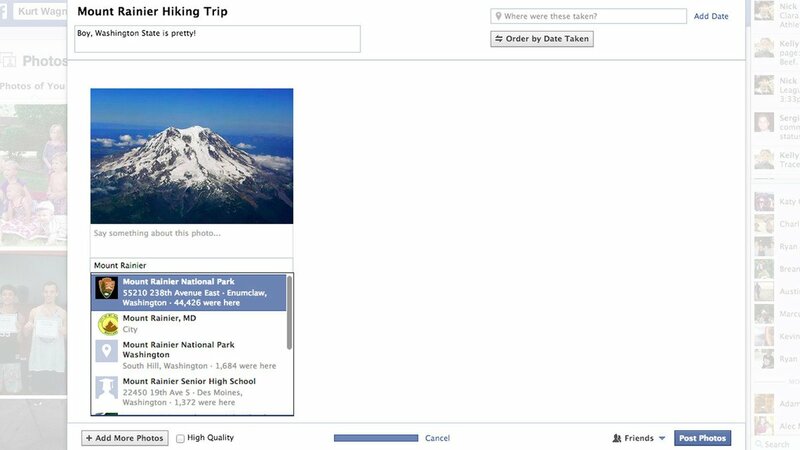 Step 5: select your privacy settings carefully – these albums have a much larger reach into groups of people that you do not know compared to your regular Facebook shares. Bear in mind that this is a brand new feature on Facebook, and will not be immediately available to everybody. Facebook initially rolled it out to a select band of ‘power-users’ on Monday, and plan to universally roll out the feature over the coming weeks. So there you have it, a quick guide about how to create a shared photo album on Facebook. As we promised, its an easy enough process. However, as with so many things Facebook, the ugly issue of privacy is never far away. Whilst these shared albums are doubtlessly going to be a great addition to the social media giant, they also open up a whole new can of worms around the exposure that pictures get. As such minors should be careful using this service, as should anybody who shares private photos. Will you be making shared photo albums, and if so, what comes to mind as the ideal event to base them around? Next articleSony Xperia Z1 teaser video: Are Sony chasing the extreme sports market?